Sale Sharks will not appeal against the sanctions imposed on Denny Solomona for the homophobic slur directed towards Worcester Warriors' Jamie Shillcock during their Premiership game in March. The Sharks are "very disappointed" after reviewing the full judgement, which found the charge proved "on the balance of probabilities". Solomona was banned for four weeks. "[Denny] is a decent and honest person and maintains that no homophobic words were exchanged," said Sale's statement. "After serious consideration, Sale Sharks have come to the conclusion that there are significant risks as well as legal and financial hurdles in pursuing an appeal. "As a consequence, Sale Sharks do not believe that it is in the interests of either Denny, the club or the game of rugby union to prolong this sad affair." The judgement confirmed the words alleged to have been used were the same as those which saw Toulon and France centre Mathieu Bastareaud banned for the same offence during a European Champions Cup match in January. Where Sale are most concerned by the judgement is that, in their view, the case pits the word of one player against another and that no other evidence was able to prove or disprove the claim. "The Rugby Football Union disciplinary panel decided, on the balance of probability but with absolutely no other evidence, that Denny had said those words based on Jamie Shillcock's reaction only," continued Sale's statement. "They also did not believe that Mr Shillcock had sought out Denny after the game and apologised to him." 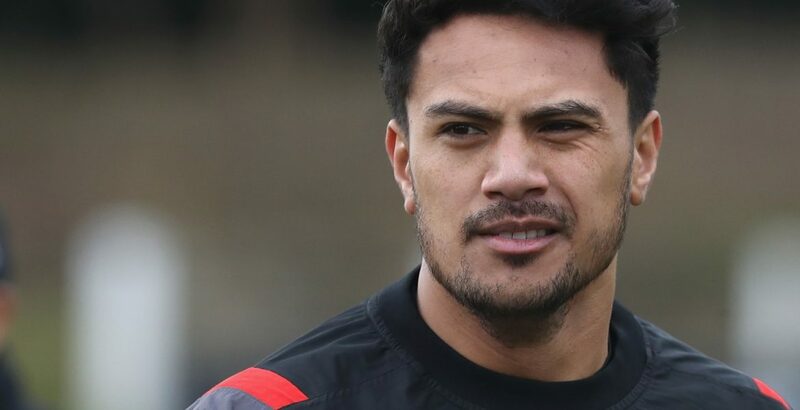 While the panel accepted there was no video or audio evidence, they did say Shillcock was a "straightforward and consistent witness", his complaint about the homophobic nature of the incident was "immediate" and that "Mr Solomona can think of no reason why Mr Shillcock would not tell the truth". The closing comments also stated that "Mr Shillcock's account of the incident was truthful in every respect, including what occurred in the changing room after the game." Worcester stand-off Jamie Shillcock grabbed Solomona by the collar in the second half of their 58-25 defeat by the Sharks. England international Solomona then confronted Shillcock, and among the pushing and shoving makes comment to the Warriors fly-half, prompting an immediate complaint to the assistant referee, using the term "homophobic slur". This comment was picked up by the microphones, but the dialogue between the two players was not heard. Shillcock, 20, also spoke to referee Andrew Jackson, again repeating the complaint. After the match, the citing commissioner Ashley Rowden asked Shillcock and team manager Mark Hewitt if they wanted to make a formal complaint. Initially the response was yes, but this was later retracted. Shillcock went to see Solomona in the Sale dressing room. However, each player in their evidence claimed the other made an apology to them respectively, but both agreed the matter has been dealt with independently so far as they were concerned. Because the complaint had been audible, the RFU required statements from the players and officials and were duty-bound to investigate.